Do you ofter work on your computer? If yes then this article is very useful for you because while working on your computer your Android phone may have some notifications and looking notifications on your android screen may be very irritating because when you receive any notification on your android screen first thing you need to do is to turn the ON button and enter the PIN for unlocking the phone and finally see the status bar of your Android screen. There may be some useful notifications, but mostly the notifications will be of new messages from the company, and this will waste a lot of time for any person, that’s why here I am going to tell you an interesting method to see all the notification of your Android phone on directly on your computer screen. Step 1. Turn ON your computer where you want to receive the Android notifications. Open the GOOGLE CHROME on your computer and search for “DESKTOP NOTIFICATIONS FOR ANDROID”. Open any result or just click here to open the EXTENSION page. Step 2. 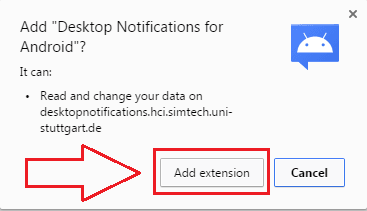 When the page is completely loaded click on the ADD TO CHROME button located at the top-right corner of the page the EXTENSION will start to ask once again with a pop up just click on the ADD EXTENSION button and extension will be added in a few minutes. Step 3. After the extension is added to your Chrome, you will see an icon on the top right corner of your screen just click on it and sign into your same GOOGLE ACCOUNT which is associated on your android phone. If you have multiple accounts, then make sure you use the correct account because this extension will work only when you have signed in with the same account on both devices. Now your work on the computer is over. 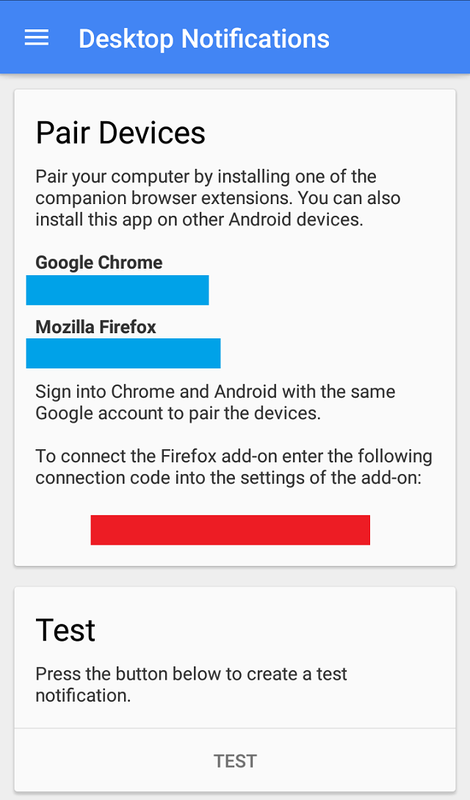 You have successfully added the extension on your Chrome and signed in with the same account as on your Android phone. You just need to install an app on your Android phone and set it up so just follow the steps on your Android device given below. Step 4. Now you have to install the DESKTOP NOTIFICATION app on your Android device. Just open the GOOGLE PLAY STORE and search for it or click here to go the directly the web page of this app. Step 5. After installing the app on your Android device directly LAUNCH it. 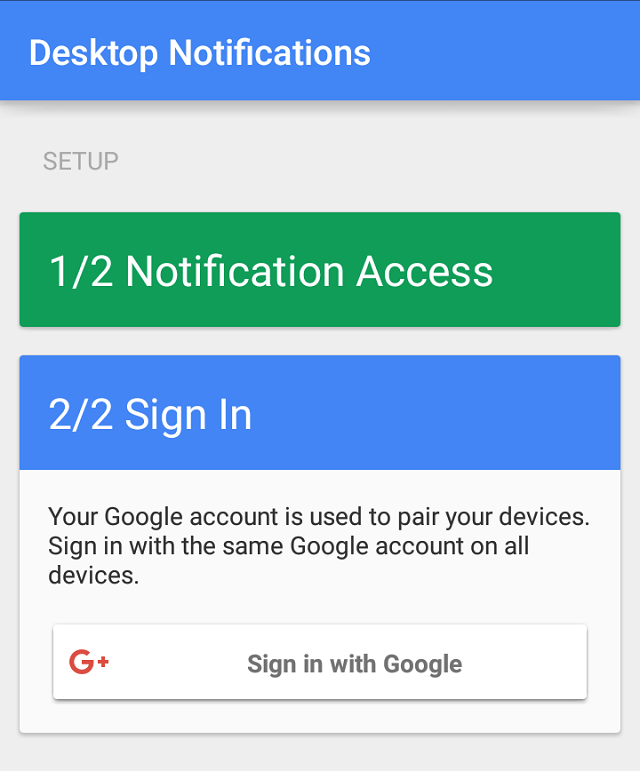 You will have two options there one is to ACCESS NOTIFICATIONS and the second is SIGN IN WITH GOOGLE ACCOUNT. Step 6. Complete these two options and you will be connected to your computer and every notification which you will receive on your Android device will be transformed to the Computer screen and you will be able to see these notifications quickly. So, friends this was all about How To Get Android Notifications Directly ON Your Computer Screen. This method is very useful for those people who often work on their computer and feel irritation while looking the notifications on their Android phone Moreover it will be very helpful for you because it will make it very simple to see the Android notifications while suffering the GOOGLE. If you like this article, then click on the button below saying SHARE and share this with your friends on your favorite social sites.